Augmented Reality is not something new. This technology existed when Nokia N series smartphones were launched (Nokia N95 to be exact). However, Pokemon GO hyped up the term “Augmented Reality” among the Android users. You should know that Augment Reality is not just implemented or comes handy for games but also useful for other categories of tasks. So, here, we have compiled a list of best Augmented Reality apps for Android. If you are completely unknown to the term “Augmented Reality”, let me tell you, Augmented means enhanced or increased, and reality means reality. So, Augmented Reality is a concept of viewing the reality in an enhanced form with a help of a smartphone or other such devices. It is a technology that superimposes a computer-generated image (imagery) on a user’s view of the real world, thus providing a composite view. However, before you jump into downloading these Augmented Reality apps, ensure that you have a gyroscope sensor on your Android device. If you do not know whether your device has it or not, you can simply install Sensor Box app from the Play Store and cross check the sensors you have on your device. Now that you are sure that your Android device has a gyroscope sensor, it’s time to find out some of the best apps for Augmented Reality. Looking for the best Augmented Reality apps for Android? We have got you covered. Let’s find them out below. Pokemon GO was the most awaited Augmented Reality game in the history of Android gaming. Nintendo’s move to bring Pokemon Go was successful. This game utilizes the GPS for your current location and movement. Well, yes, you do need an active Internet connection to play Pokemon GO. You cannot stick to one place, and you will have to move outdoors to play the game. It lets you utilize your smartphone’s camera to view and catch the Pokemon when you find it. If you are ready for an adventure, this should be the one you should be playing. However, do keep in mind to remain cautious at all times. Ingress is yet another exciting Augmented Reality game available for Android. It transforms your world. You may not have heard about this if you were not much into gaming but it was present long before Pokemon GO launched. 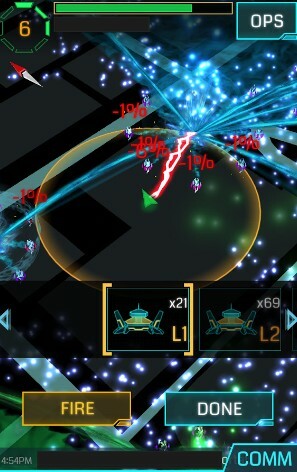 Ingress presents you the world with a different vision. You get to observe a different purpose of your existence. You will be divided into two set of groups – The Enlightened and – The Resistance. It lets you choose to join any of the ones. The game demands you to move through the real world and find mysterious energies that could change the fate of the planet. Unlike Pokemon GO (the more upgrades, the better), here, you need to build a strategy to tackle your counter group. Ink Hunter is not a game, though, but it is definitely one among the best Augmented Reality apps for Android. It is a useful application utilizing Augmented Reality tech to achieve a task. 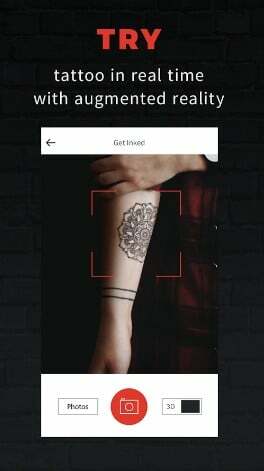 It lets you try tattoo designs through your camera using Augmented Reality. With this Augmented Reality app, you can get to know how would a tattoo on your arm would look like. You can try on your custom tattoo designs at any angle you like. In either case, you can import the designs from the gallery to try it on. After you are done trying it out virtually, you can share it with your friends and family for feedback (if you want to get an opinion). This would help because you will not have to regret carving the design on your arm without actually knowing how would it look. Layar is a quite good Augmented reality app tailored for Android. As the name suggests, it implements the AR concept through a layer in a real-time view. 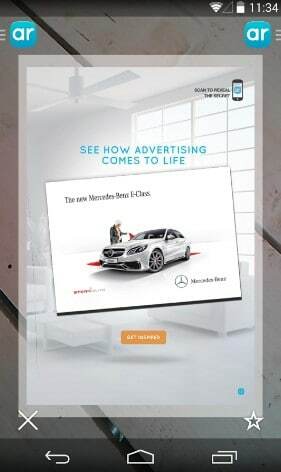 After you launch the app, you will be able to scan elements from the real world and incorporate digital stuff using Layar app. In a nutshell, Layar lets you add artificial elements to the real-world through the Augmented Reality app. With this ability, you can get a lot of things done and also unleash your creativity skills. You can also scan magazines to spice it up with additional digital information but make sure it has Layar’s logo on it, which is, in fact, scannable. Layar is not an Augmented Reality app for everyone out there, but some of the people find it just fine. 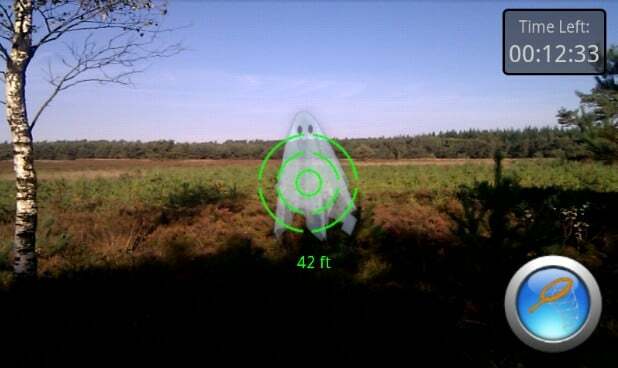 SpecTrek is an innovative AR game for Android that lets you catch ghosts (as you catch Pokemon). It may remind you of a Hollywood movie – Ghostbusters – on your way playing the game. Similar to Pokemon GO, you get to check your map for nearby areas with Ghosts. The game needs an active Internet connection along with a GPS to know the location. The ghosts may not be much scarier, but you might end up visiting a place you never wanted to go. SpecTrek is a paid AR game that costs you 2.99 USD. If you are not in a mood to get the game but try it, you can opt to install the free version of the game, i.e., SpecTrek Light. Sunseeker is not primarily an Augmented Reality app but does include a feature that utilizes Augmented reality for good use. With the AR app on the board, you get a flat compass, but while you switch to the 3D view, you will get an amazing experience out of nothing. 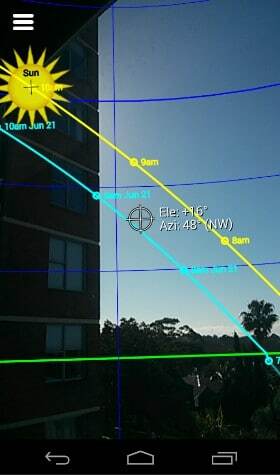 It lets you view the solar path, hour intervals, winter and summer solstice paths. With this Augmented Reality app, you can predict the exposure to your home if you are looking for a perfect yet natural place. It will surely help the photographers to wait and shot at an optimal lighting condition. 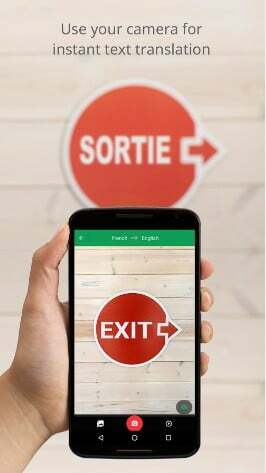 Google Translate joined forces with Augmented Reality to ease up the process of translation. Initially, you had to give an input (Either voice or text) to translate. But, what if you do not want to give an input yourself? What if things go automatic? That’s where AR came into being, and Google Translate utilized that to translate whatever you see from your smartphone camera via the app. Precisely, it is known to be dubbed as “Instant Translation.” You just need to activate the instant translation (and download the necessary files). After you are done, you just need to tap on the camera icon inside the Translator, and then you will observe the texts you see through your camera be translated to your preferred language instantly. Isn’t that great? So, now you know of the best Augmented Reality apps for Android. Of course, the list does not end here. There are a lot more Augmented Reality apps that could come handy depending on your personal preferences. However, we would want you to stick to 7 of these mentioned being more productive and fun-filled. Pokemon GO and Ingress should be your only choice while searching for an AR game for Android. SpecTrek is definitely yet another that should be accounted for if not too good. Ink Hunter, Sunseeker, and Google Translator have utilized Augmented Reality in a proper manner. Layar, being something interesting, but not for all. Did we miss any of your favorite Augmented Reality apps for Android? 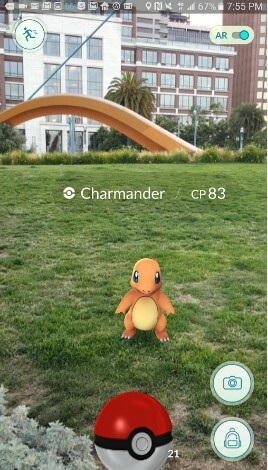 Do you happen to know better AR games than Pokemon GO or Ingress? Do you want to share an idea with us how you would like Augmented Reality tech implemented shortly? What are the Best Android Comic Book Reader Apps to Read Comics on Android? What are the Best Audiobook Apps for Android to Listen to Audiobooks on the Go? Is Music Downloader Legal? Is Downloading Music from Music Downloaders Illegal? What are the Best Song Lyrics Apps for Android to Know Lyrics of a Song? Previous: Is Music Downloader Legal? Is Downloading Music from Music Downloaders Illegal? Next: TRP Guides: How to Auto Forward Text Messages and Call Details to Email?